Yup, that last condition has been met; Lucas and I are now officially grown-ups! 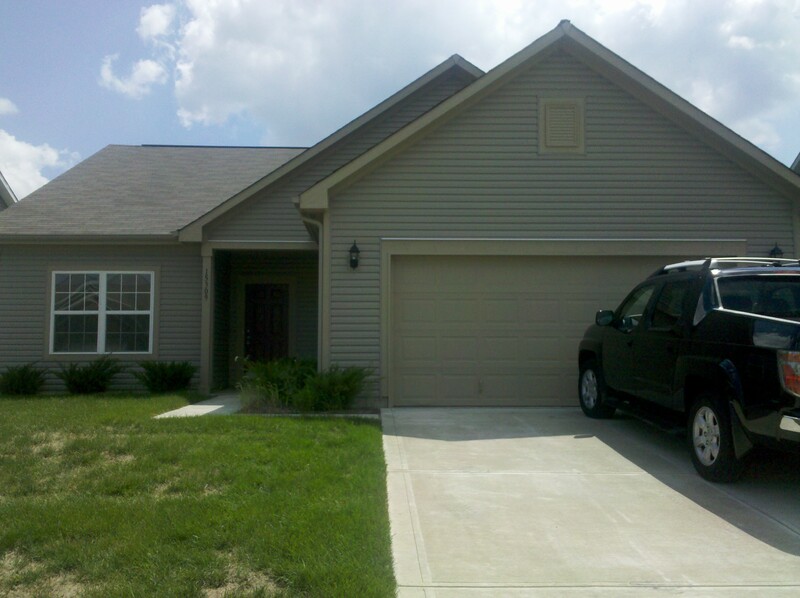 Oh, and we now own a house, too. Yesterday, quite unexpectedly, we bought our first home. Â We had been talking about it for years, really. It didn’t take long to realize in Calgary that it was going to be an unobtainable goal, (holy crazy housing market, Calgary!) but the market is much easier on the buyer here in Indy. To be fair the cost of living is different, but the price of homes, even as far south of the Calgary city centre as you can possibly be and still technically be in city limits, isÂ three timesÂ the cost of the same size home here. We’ve been throwing money away on rent for too long. When a flyer came in the mail the other day with some sample mortgage rates listed next to beautiful pictures of three bedroom homes, it seemed too good to be true. I had just been talking with my boss about interest rates two weeks ago, which fueled our desire to start seriously considering home ownership again with the market being so great for buyers. And we’d not be just any buyers… we’d be first time home buyers, and there’s a plethora of programs and benefits out there where people practically throw money at us for it. I checked out the flyer’s website and created an online portfolio where we chose some floorplans we liked and indicated what part of the city or surrounding areas we were interested in. We were contacted quickly by an agent and set up a time to chat and see if they had anything that fit our needs and budget. Our needs were pretty simple. We wanted a single story home with three bedrooms and an office. An open concept kitchen to living room was a must, as was a yard and garage. When we left our apartment yesterday to meet with the agent, we figured we’d go over our budget and needs and then he’d show us some floorplans. We had no idea that he already had a few brand new homes ready for immediate move-in picked out according to our needs, and that he was ready to show them to us same day. We looked at one home, and moved on to the second, which we fell in love with. It was perfect, with everything that we wanted and more. The location was good for work, and the neighborhood was nice. Â Sold. Though it sounds crazy that we started looking, found, AND bought a home in one day, (in about four hours start to finish) and that it was only the second house we had seen, we’d like to think that it was instead just our good luck. All of the stars aligned just right and all of the pieces just happened to fall into place… it was meant to be. We couldn’t think of any reason to say no to the perfect house; why hold out when we had found exactly what we wanted at a great price and a good location? So the summer of 2011 has been monumental. First our beautiful son is born, and 6 weeks later we stumble upon the ideal home buying scenario and purchase our first home in one day. Both huge life-changing events that came surprisingly easy to us. We are so thankful. And happy. Life is pretty darn perfect. We move at the end of September, so we’ll need to start packing soon. In our own house we can finally paint, so that’s something else exciting to think about, too. 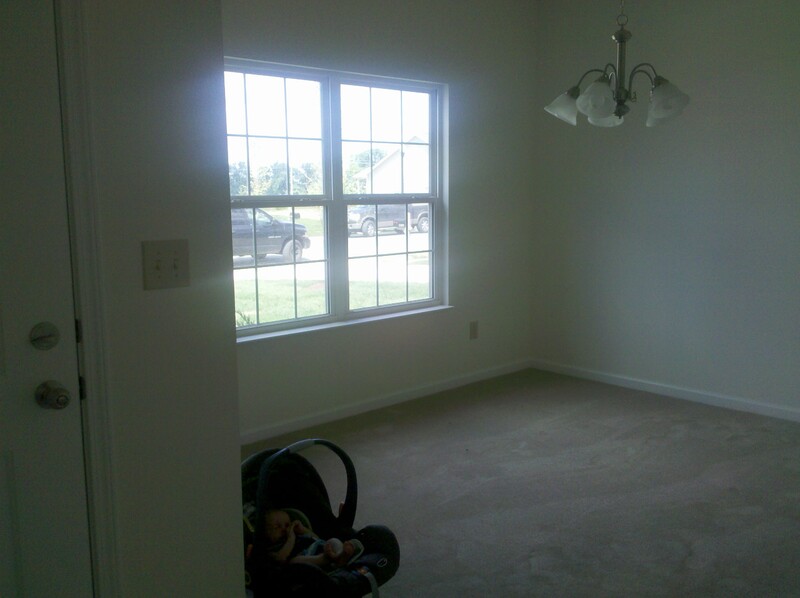 As long as we close as planned, we’ll be in the new home before I go back to work from maternity leave, too. It’s going to be a busy next few weeks, but so worth it! Yay for being grown-ups! PHOTOS! Almost forgot… I took a few photos of the house yesterday while we were there and they are in our New Home gallery on Flickr; we’ll be adding to that gallery as the adventure unfolds. And while you’re over there checking out those photos, you’ll definitely want to swing by the Liam gallery to see what’s new, too. I swear he is growing every day before our very eyes. Newest photos are always added at the end!